I never actually set out to write a book about grief, never planned to make any of my writing public (except for blog posts, of course), but I was so lost, so lonely, so sick with grief and bewildered by all I was experiencing, that the only way I could try to make sense of it all was to put my feelings into words. Whether I was writing letters to Jeff (my deceased life mate/soul mate) or simply pouring out my feelings in a journal, it helped me feel close to him, as if, once again, I was talking things over with him. The only problem was, I only heard my side of the story. He never told me how he felt about his dying and our separation. Did he feel as broken as I did? Did he feel amputated? Or was he simply glad to be shucked of his body, and perhaps even of me? It’s been more than three years now since the following piece was written. I still don’t understand the purpose of pain, loss, suffering. Still don’t understand the nature of life or death. Still don’t know how energy can have cognizance, if in fact, consciousness survives death. The main difference is that the wound where he was amputated from me has healed. I don’t worry about him — at least not much — but I still miss him and I probably always will. Did you use the phrase okie-doke one night at the end when you were saying all those jaunty things like “adios, compadre”? You must have. Every time I see or hear the expression, I start crying. Good thing it’s not in common usage any more. I am hurtling away from you at incredible speeds. Maybe I’ll come full circle and meet with you again when my end arrives? I wish I believed that, but it makes no sense. How do sparks of energy have cognizance, character, memory? How would we know each other? At least I would no longer have to deal with your absence since I’d be absent too. You came into my life so rapidly. One day you weren’t there, and the next you were. You went out the same way. One day you were there, the next you weren’t. Yesterday someone told me that life on earth was an illusion and so you still existed. But if life is an illusion, why couldn’t it be a happy figment? A joyful one? What’s the point of pain? Of loss? Of suffering? You’ve been gone one-hundred and fifteen days, and I still can’t make sense of it. Adios, compadre. I hope you, at least, are at peace. Grief: The Great Yearning is a finalist in the memoir category for the Sharp Writ Book Awards, and they asked me for a 30 second introduction to the book for their “awards ceremony” video. Thirty seconds isn’t long enough to do a real book trailer, so I put together a few photos and text pages — more like a video blurb. The music for the video is the last piano piece Beethoven created, which seemed fitting, especially since the total length of the piece fit perfectly with my images. 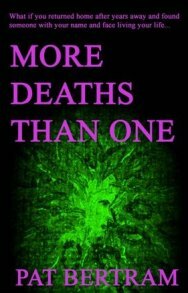 Pat Bertram is the author of the suspense novels Light Bringer, More Deaths Than One, A Spark of Heavenly Fire, and Daughter Am I. Bertram is also the author of Grief: The Great Yearning. I’ve written four novels, all published by Second Wind Publishing, and although I thought the subject matter of each book important enough to spend a year of my life writing and another year editing (to say nothing of the years on the arduous road to publication), I have a hard time telling people the novels are important. The basic theme of all my novels is conspiracy, focusing on the horrors ordinary citizens have been subjected to by those in power. Most people who have read the books seem to like them (though a few who didn’t like them seemed befuddled by what I was trying to accomplish). Light Bringer in particular seems to arouse a difference of opinion. 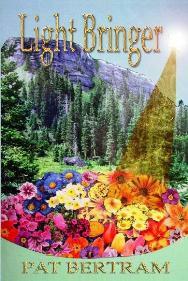 Written to be the granddaddy of all conspiracy theories, Light Bringer traces the push toward a one-world government back 12,000 years. 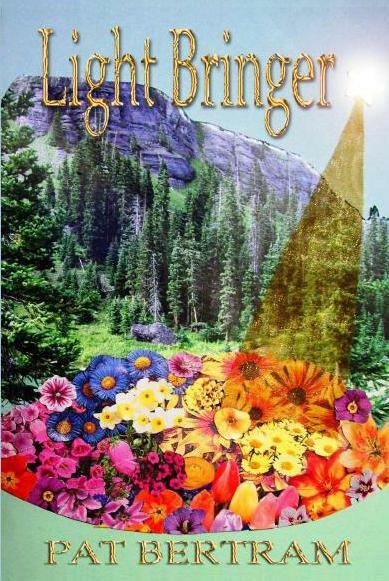 Based on myths, both modern conspiracy myths and ancient cosmology myths, Light Bringer is a thriller, or mythic fiction perhaps (if there is such a thing). I never intended it to be science fiction since the science is gleaned from ancient records rather than futuristic imaginings, but that is how it is perceived. Still, despite the scope of the book, despite it being my magnum opus and the result of twenty years of research, I can’t in all honesty say it is important to anyone except me. It probably won’t change anyone’s life or anyone’s thinking. For the most part, we bring to books what we believe, and so those who believe in conspiracies see the importance of my novels, while those who don’t have even a smattering of belief that there are machinations we are not privy to might even think them far-fetched. On the other hand, Grief: The Great Yearning is an important book. It is composed of journal entries, blog posts, and letters to my dead life mate/soul mate, all pieces written while I was trying to deal with the unbearable tsunami of emotions, hormones, physical symptoms, psychological and spiritual torments, identity crisis and the thousand other occurrences we lump under the heading “grief.” Because of this, the emotion in Grief: The Great Yearing is immediate, the experience palpable. This is a comfort to those having to deal with a grievous loss because they can see they are not alone. (One of the side effects of grief is a horrendous feeling of isolation.) They can see that whatever they feel, others have felt, and that whatever seemingly crazy thing they do to bring themselves comfort, others have done. 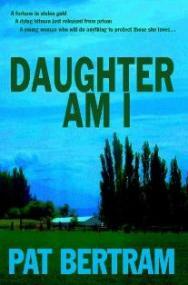 This book is also important for the families of someone who has suffered a grievous loss. Too often the bereft are told to move on, get over it, perhaps because their families don’t understand what it is the survivor has to deal with. Well, now they can get a glimpse into grief and ideally, be more patient and considerate of their bereft loved ones. This book is especially important for writers. I’ve mostly given up reading for now because of the unrealness I keep coming across in fiction. So many novels are steeped in death, with bodies piling up like cordwood, yet no one grieves. The surviving spouses think as clearly as they did before the death. They have no magical thinking, holding two disparate thoughts in their minds at once. (For example: I know he will never need his eyeglasses, but I can’t throw them away because how will he see without them?) The characters have no physical symptoms or bouts of tears that are beyond their control. There is no great yearning to see the dead once more (and this yearning is what drives our grief, not the so-called stages). In other words, we are continually conditioned to downplay the very real presence of grief in our lives. If we don’t see people grieve in real life, in movies, in books, where are we to get a blueprint for grief? So, yes, Grief the Great Yearning is important, with an important message: It is okay to grieve. And as impossible as it is to imagine now, you will survive. I still miss him, still hate that he’s dead, still question the meaning of life and death, still feel his absence like hole in the universe. I never expected to feel this sort of grief. Never knew it was possible. I started crying today and couldn’t stop. I had to go to town to break up the crying jag otherwise I might have cried all day. I’m glad you’ll never have to go through this. I cling to that thought—that your death spared you ever having to grieve for me. We did so much together, and now our paths have divided. I can’t yet follow you. Are you gone? Snuffed out forever? Or does something of you remain somewhere? Are you warm? Fed? Have plenty of cold liquids to drink? Thinking about what happened to you makes me sick to my stomach still. The days after your diagnosis went by too fast. I still can’t comprehend your suffering or your dying. I sometimes hear noises out in the living room when I am in the bedroom, and my first thought is that it’s you. It comes as a shock when I realize . . . again . . . that you’re dead. I truly don’t know how to get along without you. Or, more accurately, I don’t want to get along without you. You were my life for so many years. I wonder what my future holds. Love? Success? Failure? Loneliness? I still can’t decide if I want to get rid of almost everything we own or put it in storage. I know I’ll hate having reminders of everything I’ve lost, but perhaps there will come a time when our things bring me comfort? I don’t know what to do about your car. Keep it? Sell it? Donate it? I don’t suppose you want to hear about these indecisions, but they do loom in my thoughts. I talk to you all day, but when it comes time to write you, I can only think of such trivialities. Yet that’s what our life together ended up being. I wanted only the cosmically important things to be part of our shared life, yet it devolved into basic survival, errands, household chores. I’m keeping up with the chores. Sort of. When I was at the grocery store, the clerk asked where you were, so I told her. She hugged me and cried with me. Not enough tears have been shed for you—no amount of tears will ever be enough—so those tears gave me comfort. Your life—and death—shouldn’t pass lightly. Grief: The Great Yearning, the book about my first year of grief has finally been published. I wrote this article during the summer following my life mate/soul mate’s death, long before I ever knew my writings about grief would be published, but with the addition of the last paragraph, it made the perfect introduction to the book. Grief: The Great Yearning is available from Amazon, Second Wind Publishing, and in various ebook formats from Smashwords. Death came in the spring. At the beginning of March, the doctors said that Jeff, my life mate—my soul mate—had inoperable kidney cancer and that he had six months to live. He had only three weeks. We’d spent thirty-four years together, and suddenly I was alone, unprepared, and totally devastated. I couldn’t even begin to comprehend the wreckage of my life. It wasn’t just he who died but “we.” There was no more “us,” no more shared plans and dreams and private jokes. There was only me. Other losses compounded the misery. I had to sort through the accumulation of decades, dismantle what was left of our life, move from our home. We bereft are counseled not to make major changes during the first year after a significant loss—one’s thinking processes become muddled, leaving one prey to faulty logic and rash decisions—but I needed to go stay with my father for a while. Although he was doing well by himself, he was 93 years old, and it wasn’t wise for him to continue living alone. I relocated from cool mountain climes to the heat of a southwestern community. Lost, heartbroken, awash in tears, I walked for hours every day beneath the cloudless sky, finding what comfort I could in the simple activity. During one such walk, I turned down an unfamiliar city street, and followed it . . . into the desert. I was stunned to find myself in a vast wilderness of rocky knolls, creosote bushes, cacti, rabbits, lizards, and snakes. I’d been to the area several times during my mother’s last few months, but I’d spent little time outside. I hated the heat, the constant glare of the sun, the harsh winds. After Jeff died, however, that bleak weather, that bleak terrain seemed to mirror my inner landscape. Wandering in the desert, crying in the wilderness, I tried to find meaning in all that had happened. I didn’t find it, of course. How can there be meaning in the painful, horrific death of a 63-year-old man? I didn’t find myself, either. It was too soon for me to move on, to abandon my grief. I felt as if I’d be negating him and the life we led. What I did find was the peace of the moment. Children, most of whom know little of death and the horrors of life, live in the moment because they can—it’s all they have. The bereft, who know too much about death and the horrors of life, live in the moment because they must—it’s the only way they can survive. During the first year after Jeff’s death, I lived as a child—moment to moment, embracing my grief, trying not to think about the future because such thoughts brought panic about growing old alone, trying not to think about the past because such thoughts reminded me of all I had lost. And so went the seasons of my soul. The spring of death gave way to the summer of grief, and grief flowed into the fall and winter of renewal. Grief: The Great Yearning is not a how-to but a how-done, a compilation of letters, blog posts, and journal entries I wrote while struggling to survive my first year of grief. As you journey through grief, I hope you will find comfort in knowing you are not alone. Whatever you feel, others have felt. Whatever seemingly crazy thing you do to bring yourself comfort, others have done. And, as impossible as it is to imagine now, you will survive. 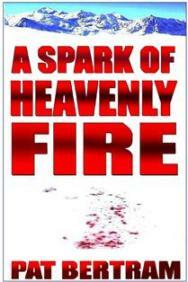 Pat Bertram is also the author of Light Bringer, More Deaths Than One, A Spark of Heavenly Fire, and Daughter Am I. 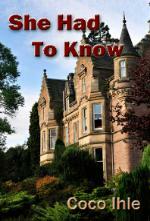 All Bertram’s books are available both in print and in ebook format. 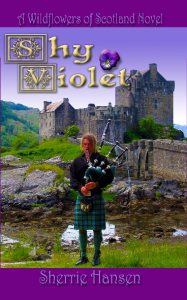 You can get them online at Second Wind Publishing, Amazon, B&N and Smashwords. At Smashwords, the books are available in all ebook formats including palm reading devices, and you can download the first 20-30% free!